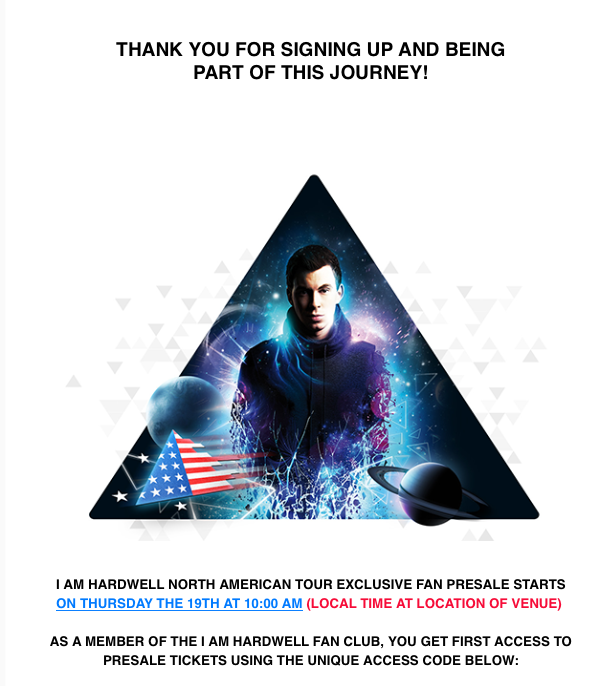 When the number-one DJ in the world revealed North America to be the next stop on his ‘I AM Hardwell’ world tour, he did it big…literally. 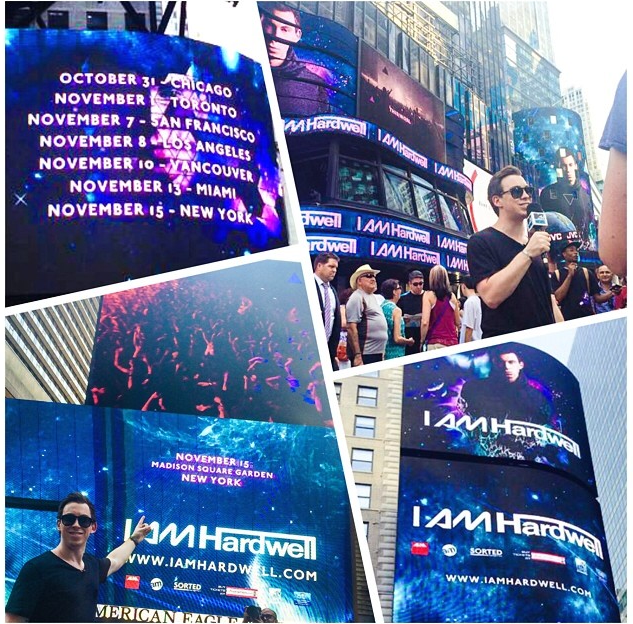 Via video screens in Times Square, Hardwell announced future tour stops in six major cities which include Chicago, San Francisco, Los Angeles, Vancouver, Miami, and conclude with what is sure to be a sold-out performance at Madison Square Garden. Tickets go on sale to the general public June 27 at 10 a.m. (local time for local venue), and can be purchased (here). Fans hoping to lock-in presale tickets on June 19 must first (register here). The confirmation of your registration will be emailed to you and will look something like the picture below.